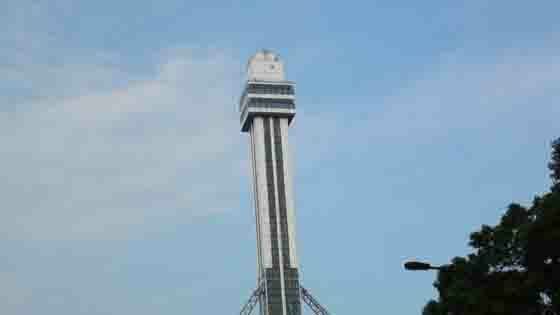 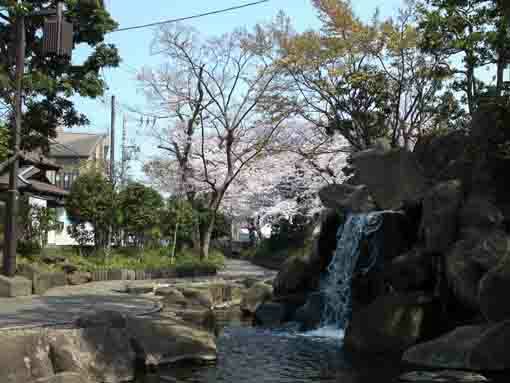 Furukawa Water Park is the first water park in Japan. 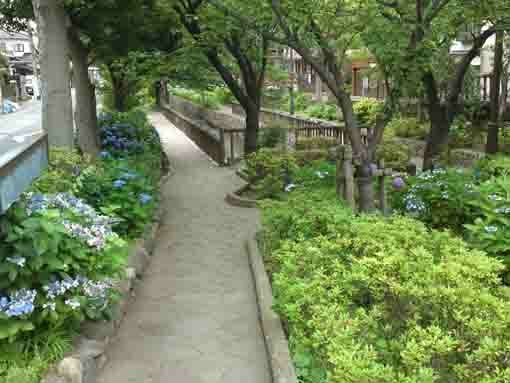 This park is a noted spot of cherry blossoms in spring and hydrangeas in early summer. 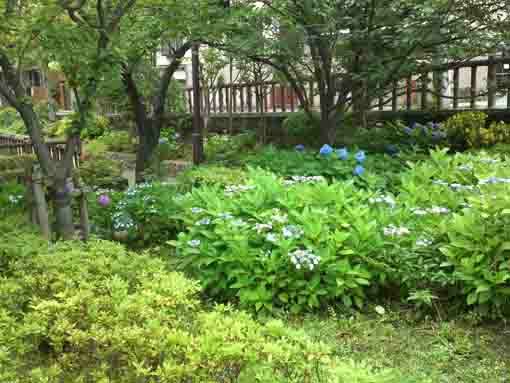 And in summer, many people take rests under the woods to avoid the strong sun beams and some kids play in the water in summer. 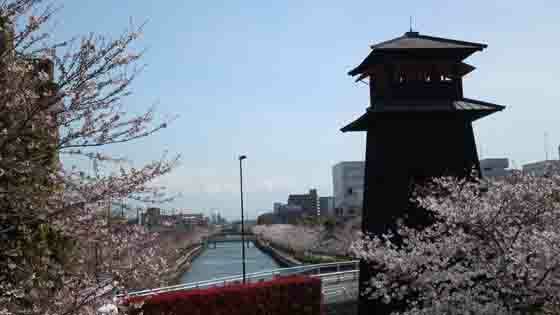 Furukawa River is a main artery that connected Edogawa River to Nakagawa River to bring thousands of products and people to Edo in Edo period. 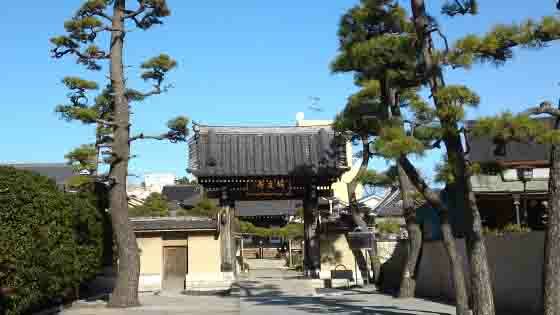 Saiokuken Socho, a renga poet in Muromachi period, described this area in his essay 'Azumaji no Tsuto'. 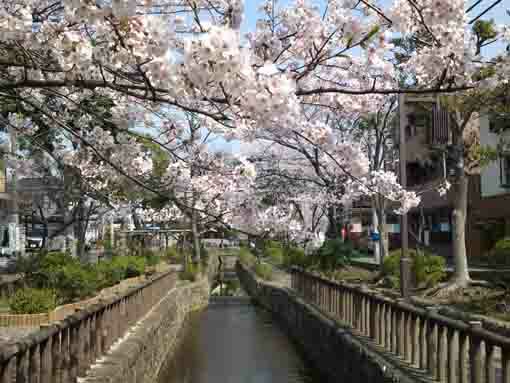 He might pass Furukawa River at that time. 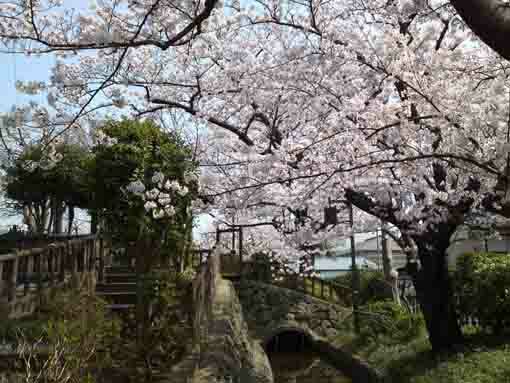 He got on a ferryboat at Sumidagawa River and he passed rivers with reeds in this area called Kasaisho, finally he landed at the ferry at Imai. 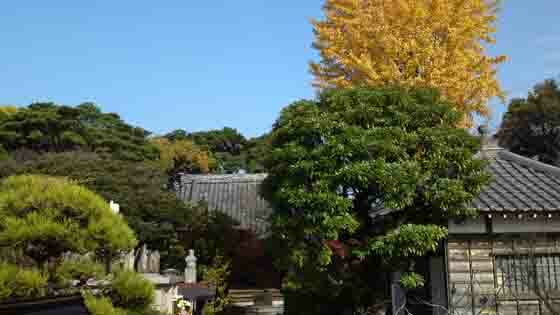 Now there are some old temples along Furukawa Water Park that tell the history of Furukawa. 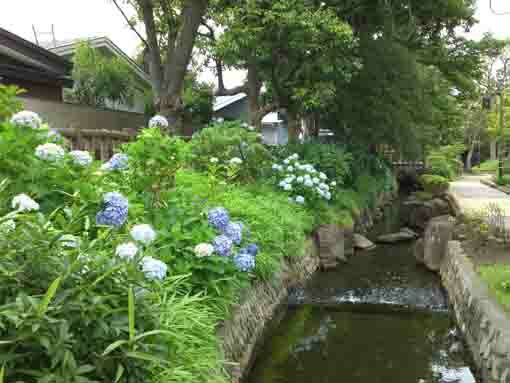 In addition, the principle image of Sei Kanzeon Bosatsu is said to be carved by Gyoki, so it implies that Furukawa River has been a waterway since Nara period. 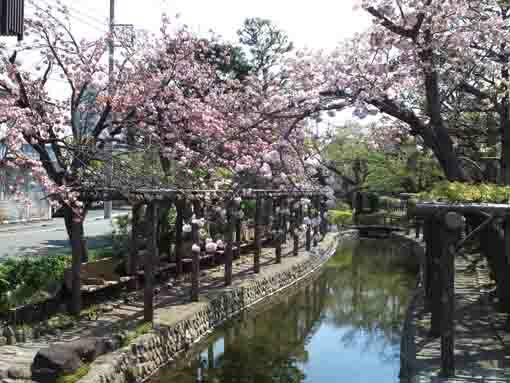 By the completion of the new waterway had opened, Furukawa River was a very important waterway and Ieyasu Tokugawa went on the river to go hawking in Togane. 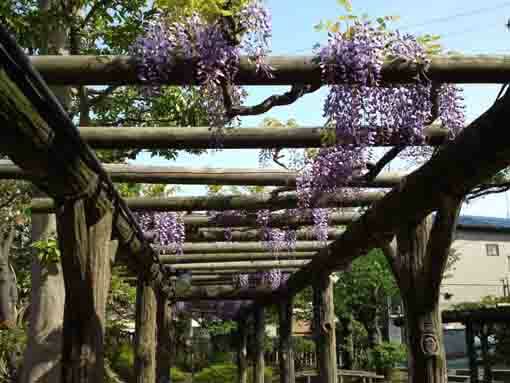 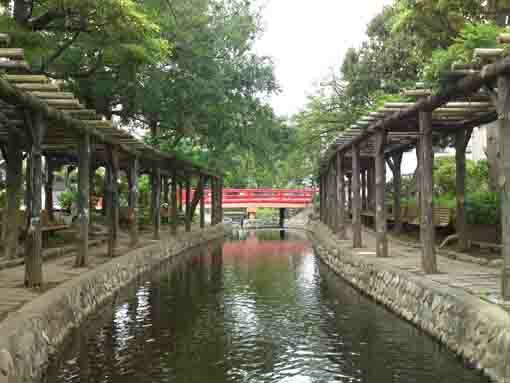 Furukawa Water Park is a beautiful park with long history. 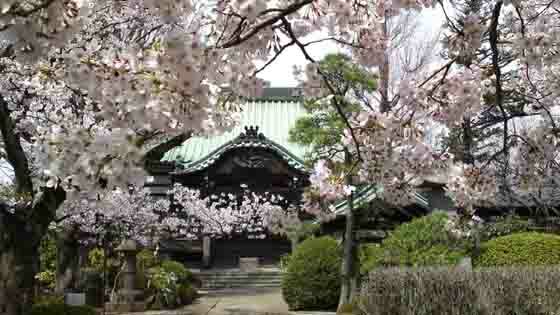 Why don't you visit it? 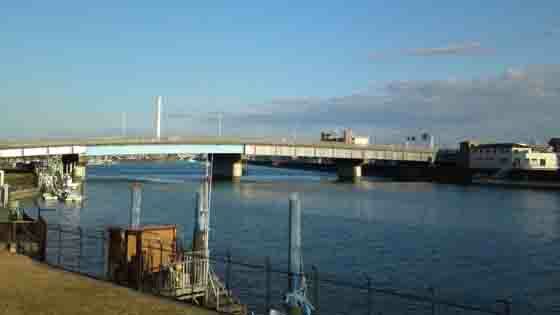 Furukawa River was called Funaborigawa River in long time ago. 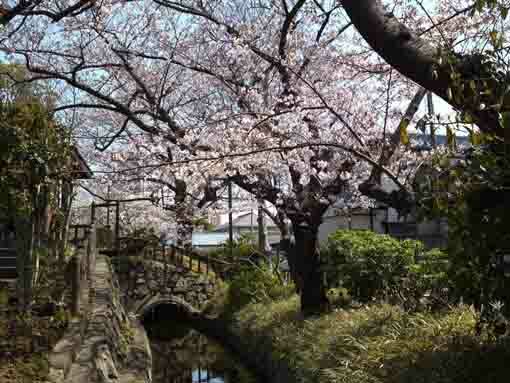 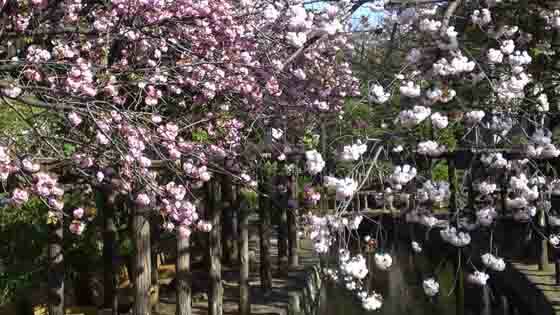 When Ieyasu Tokugawa moved to Edo in 1590, Furukawa used as an important waterway to bring salt made in Gyotoku to Edo. 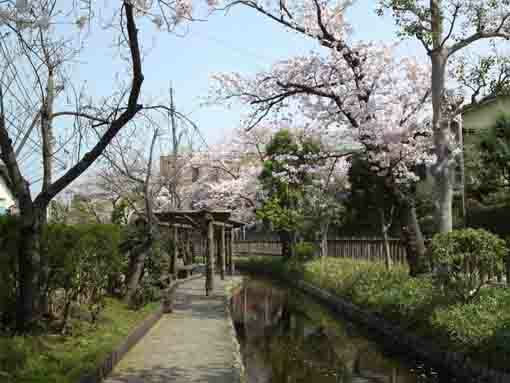 After that, a new canal was completely built in 1629 and the most products would pass this new one and it connect to the old canal to the west to be a main artery that brought thousands of products from the northern Kanto region and Tohoku to Edo to support its economy. 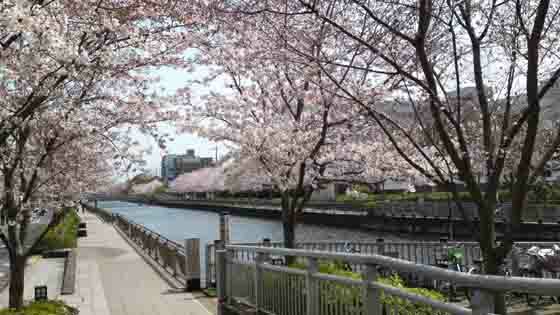 And they were called Shinkawa River since then. 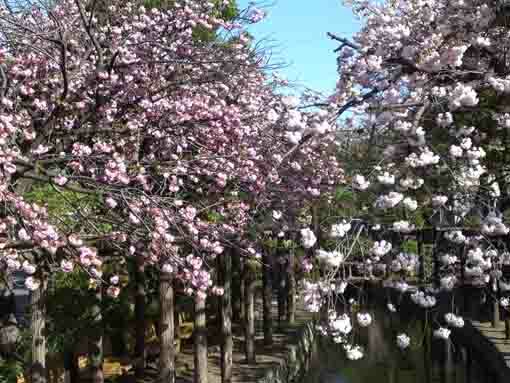 In Meiji Era, steam boats had run on Shinkawa River and this area became very prosperous, and Furukawa River used to bring local products to help people's life in this area. 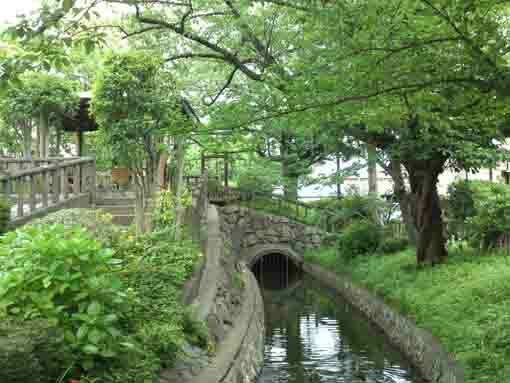 However, rail ways had been developing then the transportations by waterways were gradually declined, and improving the economy and the urbanization after the WWII made the environment of the river polluted because of sewage from residents and factories. 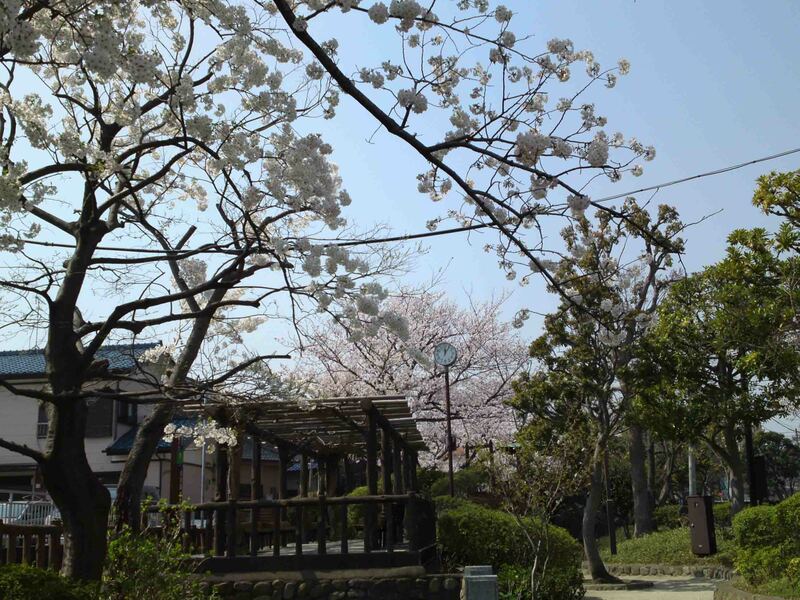 Under these conditions, residences in this area and the government of Edogawaku decided 'return the clear waters in Furukawa River', and they built Furukawa River in 1974 as the first water park in Japan. 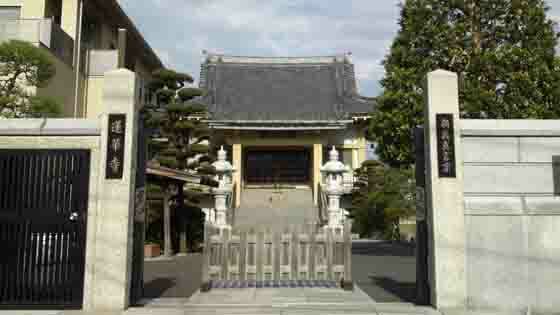 And they organized ‘Furukawa o Aisuru Kai (the Society of loving Furukawa)’ in June 1974, and the new history started. 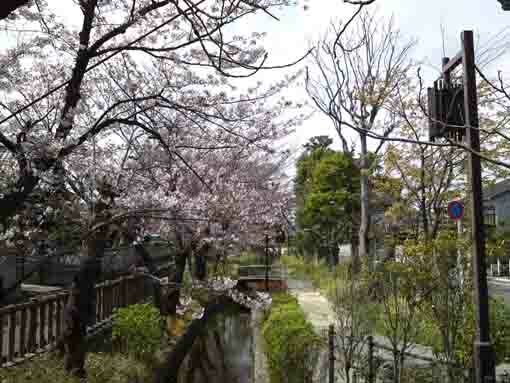 Building Furukawa Water Park under the new conception of being fond of water is the first operation to regain the clear water in Japan that is highly evaluated not only domestically but also internationally and it was recorded in history. 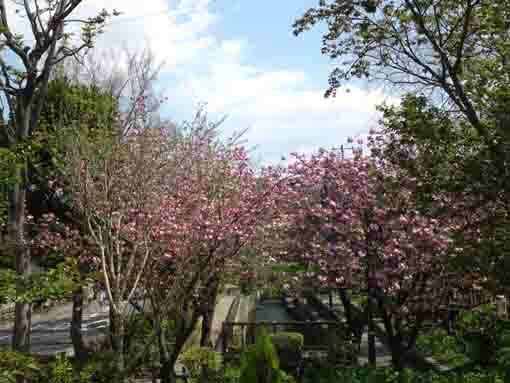 Some kinds of sakura bloom and visitors enjoy them by middle of April. 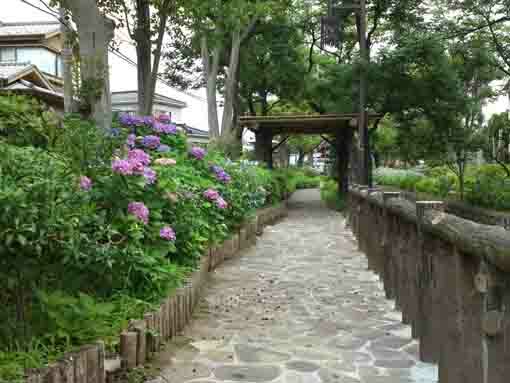 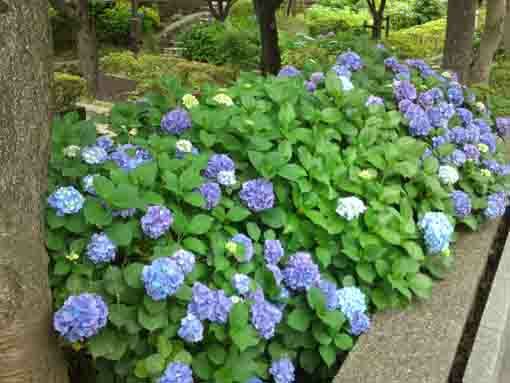 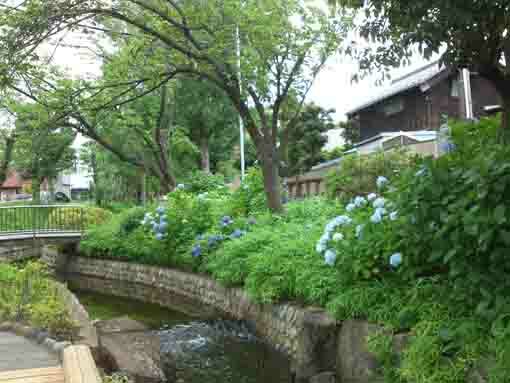 Hydrangeas bloom along the river and the path in the park during the rain season in Japan. 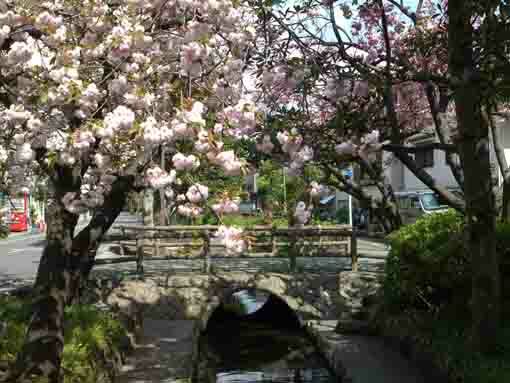 Gyotokudo was an important highway connecting Edo to Boso in Edo period. 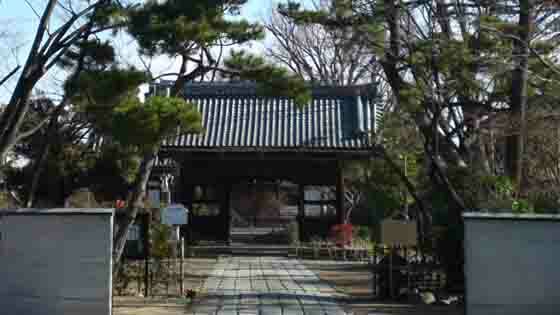 There is no specific information when it had been built, but it was appeared on a map published in Shoho Era (1645-1648). 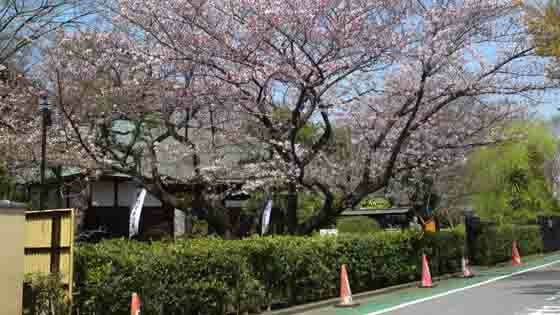 It has been a main highway since then. 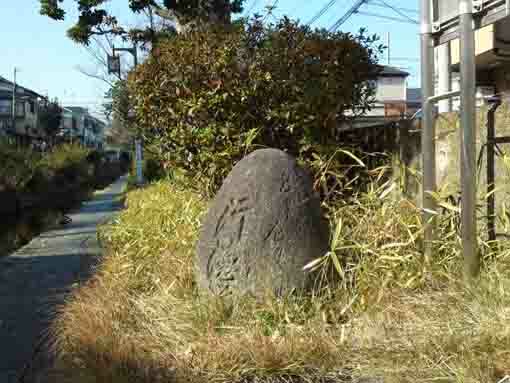 The stone guidepost is a round shaped stone with 67cm tall and 152cm around in girth. 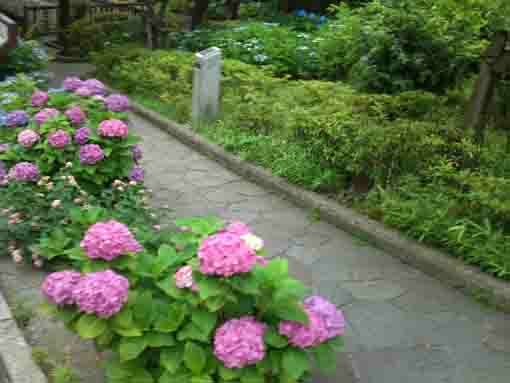 There are some Japanese letters telling '是ヨリ左リ行徳道 (Gyotokudo begins here)' on surface, and it told travelers the direction to Gyotoku. 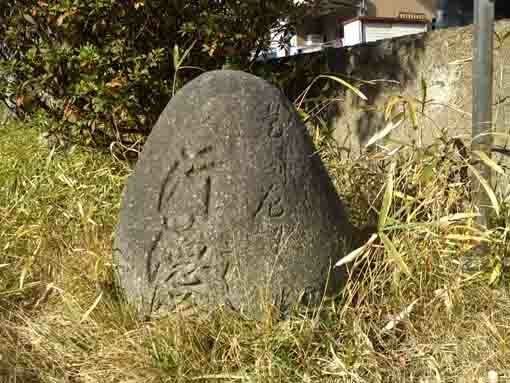 It had stood on the east side of Tukitomebashi Bridge. 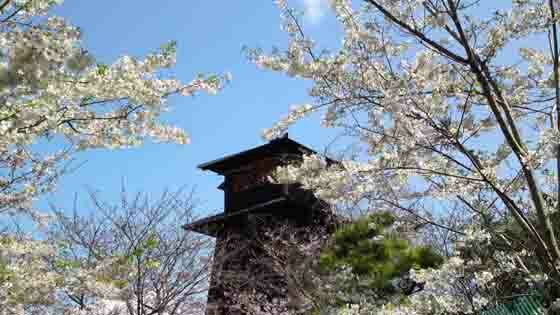 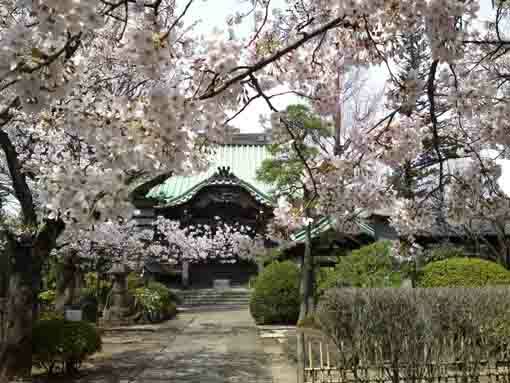 An old temple has a beautiful garden with many seasonal flowers blooming in it. 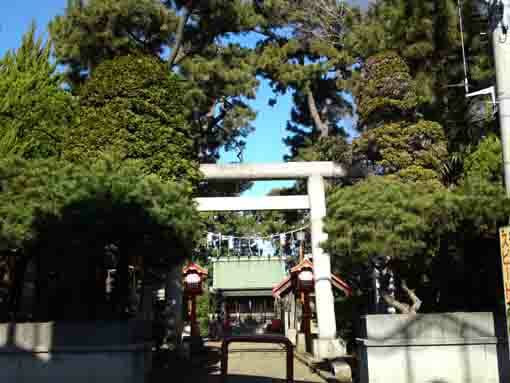 This shrine is very beautiful with tall pine trees and a giant zelkova tree in it. 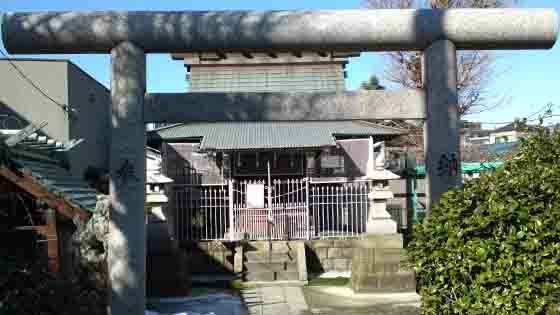 The principle image is said to be carved by Gyoki. 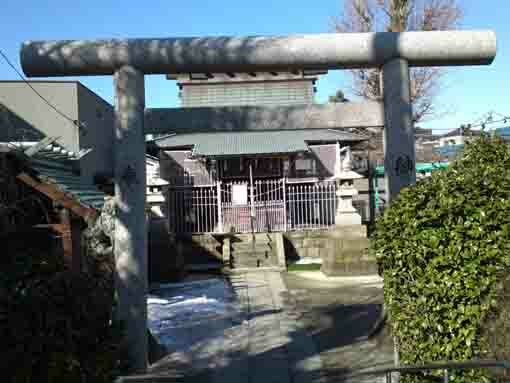 This shrine stands where famous and popular tasty water flows in the river. 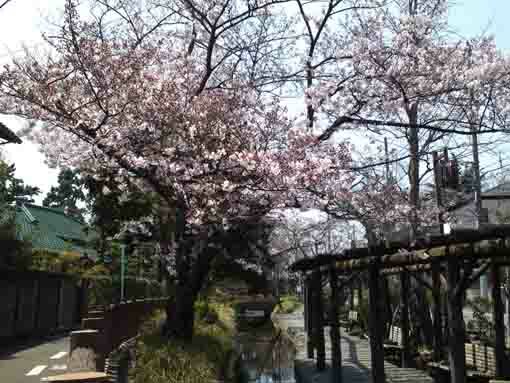 Furukawa Water Park has great accessibilities from both Narita and Haneda International Airport. 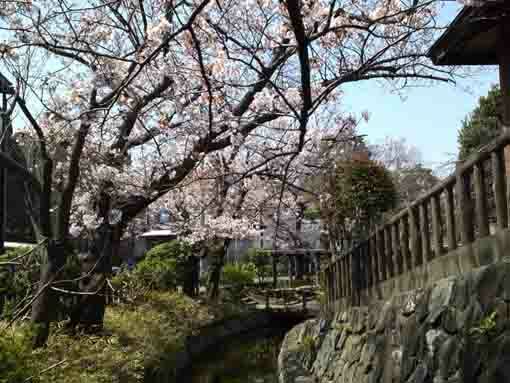 From Narita International Airport, take Sobu Express Line bound to Tokyo or Yokosuka and get off at Funabashi Sta, then transfer the line to Sobu line bound to Nakano or Mitaka ang get off at Motoyawata Sta. 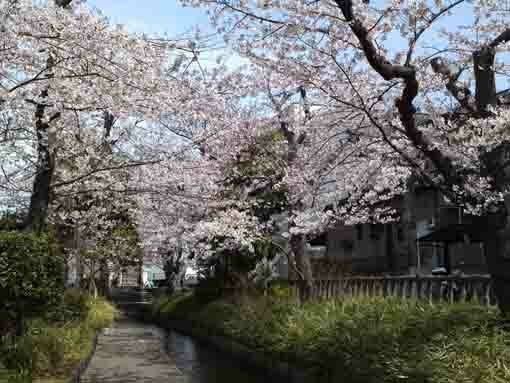 Or take Keisei-line bound to Ueno and get off Keisei Yawata Sta. 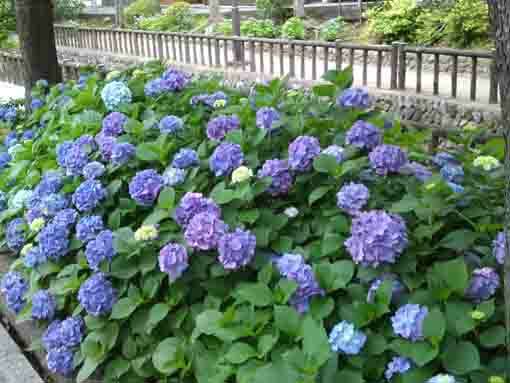 Both from Motoyawata Sta and Keisei Yawata Sta, transfer the line to Toei Shinjuku line and get off at Ichinoe or Funabori Sta. 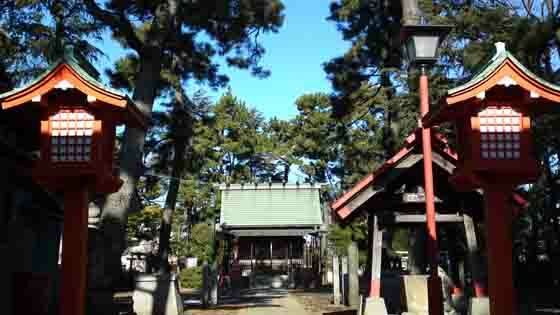 From Haneda International Airport, take Keikyu-line bound to Narita, and get off Shinagawa Sta and transfer the line to Sobu Express line bound to Narita International Airport or Chiba, and transfer the line at Ichikawa Sta to Sob line bound to Nishi Funabashi, Tsudanuma or Chiba and get off at Motoyawata Sta. 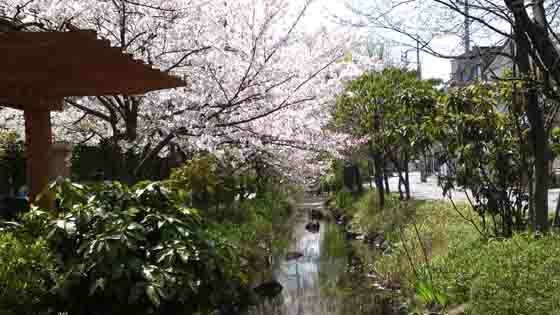 Or take Keikyu-line bound to Narita, and get off Keisei Yawata Sta. 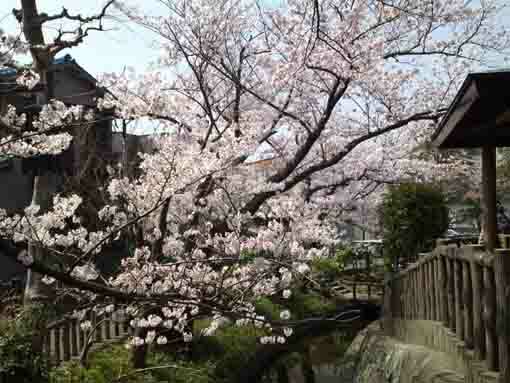 Both from Motoyawata Sta and Keisei Yawata Sta, transfer the line to Toei Shinjuku line and get off at Ichinoe or Funabori Sta. 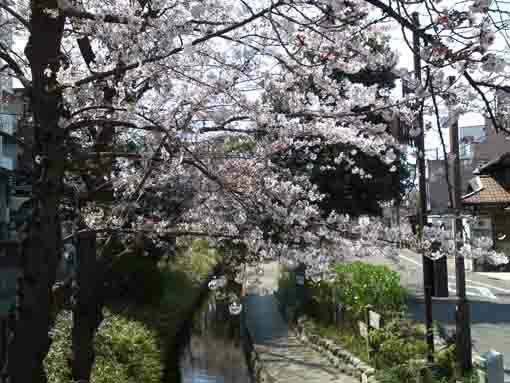 From Iwamotocho Station at Akihabara, take Toei Shijuku line bound to Motoyawata and get off Ichinoe or Funabori Sta. 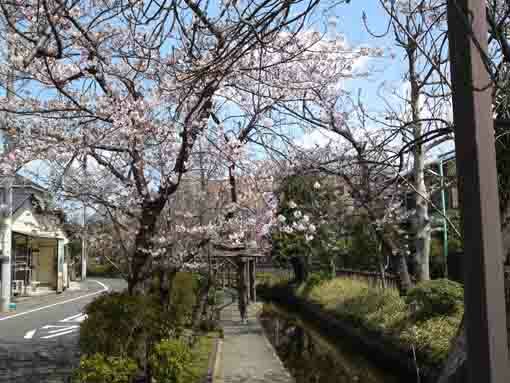 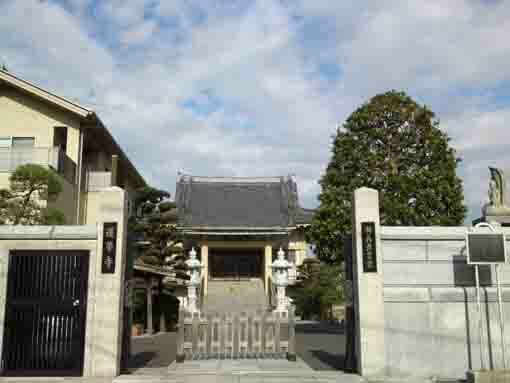 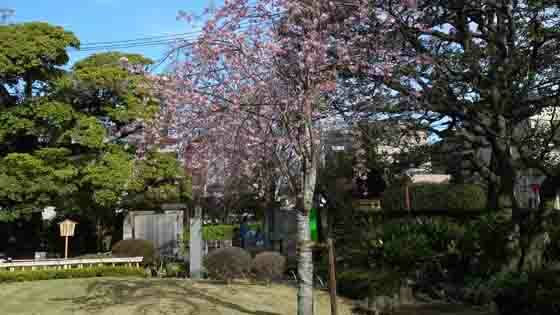 Take 12 minute walk from Ichinoe Sta and 17 minute from Funabori Sta.